In the wide world of sports, the main thing we like to do is argue. Everyone has an opinion of how good a player, team, or sport is, and there are enough statistics and metrics available for free that one can easily do the research and provide the facts and figures to support their claims. At some point, it boils down to who is better at debating in general, instead of who has the stronger source material. 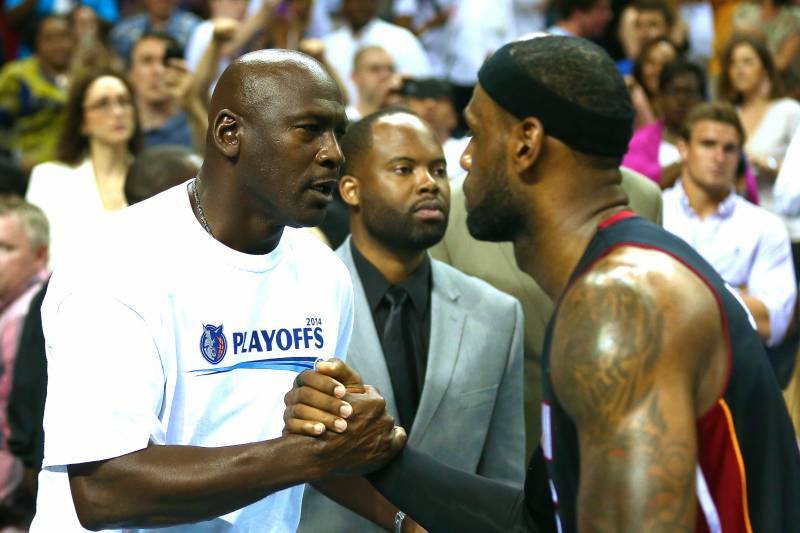 Among the biggest debates in the American sports world, and certainly the biggest debate in basketball is: Jordan vs LeBron. Who was/is a better basketball player, Michael Jordan or LeBron James? Every time you turn on an ESPN debate show or listen to sports radio, the Jordan vs LeBron debate will inevitably be brought up and instantly split the room into team Jordan and team LeBron. It’s such a highly debated topic that almost every NBA personality, talk show host and former player has a known stance on the debate. There are so many angles to look at when studying this debate, and the first is: when did you grow up? 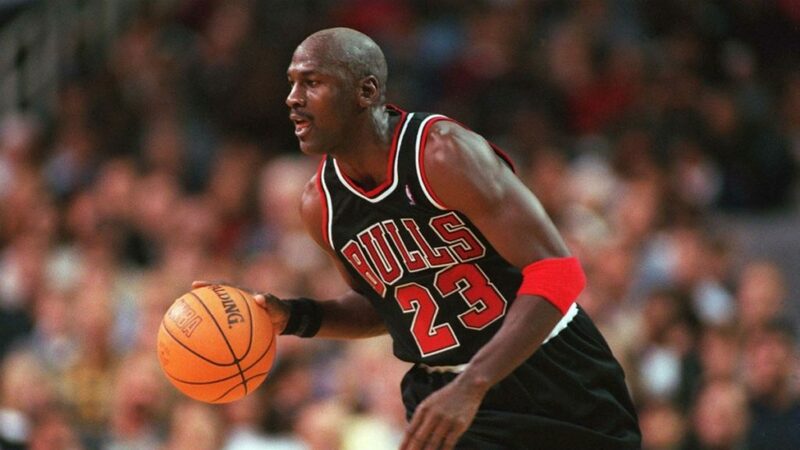 Anyone that watched Jordan play during his entire career tends to have a bias towards him. There is just no way for them to admit the possibility that anything taking place today is better than when they witnessed watching Jordan. Anyone that was born in the middle of Jordan’s career and didn’t truly witness everything he did tends to have a LeBron bias. There is just no way for them to understand that there possibly could have been something better than what they are witnessing right now. It should also be noted that anyone from Chicago or Cleveland cannot be taken seriously in this debate. The argument for Jordan revolves around his rings. He won six championships and lost zero. LeBron, however, has made it to the championship a total of nine times but only came out victorious three times. Jordan is a pure winner and LeBron can’t close. The argument for LeBron revolves around his versatile skill as a basketball player and not just a scorer. His career averages in rebounds and assists are higher than Jordan’s and he’s the only player in NBA history with at least 30,000 points, 8,000 rebounds, and 8,000 assists. After that the arguments go back and forth. Jordan won the Defensive Player of the Year award and has nine All Defense teams and five MVPs while LeBron only has six All Defense teams and four MVPs. LeBron made it to the Finals eight years in a row even though he’s only won less than half of them, and had to face the Golden State Warriors four times, who might be the best team that ever existed in the NBA. Unlike Jordan, since LeBron is still playing, he still has time to cement himself as the better player. My question is this: what would LeBron have to do in the remaining years of his career to convince those on team Jordan that he’s a worthy adversary? Since much of their argument is prefaced with the six rings, if LeBron won three more championships, would he then be considered equal? What if it was only one or two more rings? 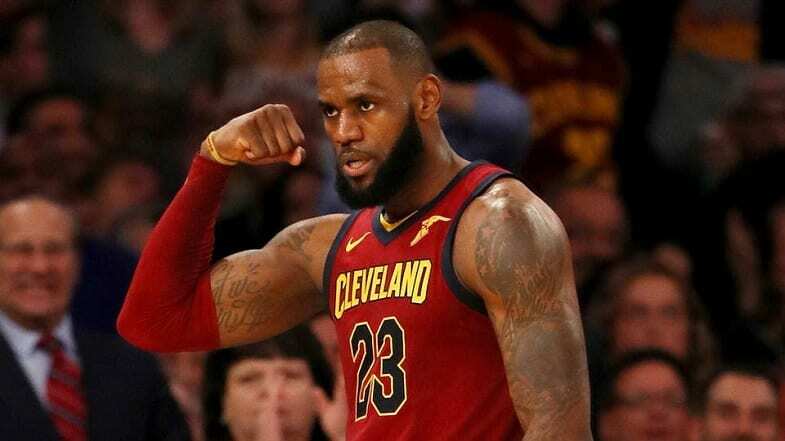 I personally think that if LeBron were to win another championship, somehow secure another MVP award (to match the five that Jordan has), and finished his career with more points than anyone in NBA history, it would be extremely difficult for team Jordan to not at least concede the fact that LeBron is an equal. But how likely are those things to happen? LeBron just joined an L.A. Lakers team flushed with young talent, and at this point it seems likely that Kawhi Leonard will join their ranks in 2019-20 when he becomes a free agent after a one-year stint in Toronto. Klay Thompson becomes a free agent next summer and Kevin Durant can opt out of the second year of his contract with the Warriors, so if the current Warriors team is broken up, it would be very possible for a team of LeBron and Leonard to earn a ring together. LeBron is currently 7,349 points away from the record holder, Kareem Abdul-Jabbar. Over his career he’s averaged 2,069.2 points per season and has shown no sign of slowing down. In fact, last year he averaged a career high in rebounds and assists, and averaged his most points per game since his last season of his first stint in Cleveland. On his current pace, it would take him three and a half more seasons to reach Kareem. I think this is the easiest checklist item of the three I mentioned. The hardest one will be to win another MVP award. There is so much MVP caliber talent in the league right now that voters would have a hard time giving him another one, even if he really deserved it. He had the best statistical year of his career last season and was a lot more efficient than James Harden, but he finished second. He hasn’t finished outside the top four in MVP voting since the 2006-07 season, and he’s never finished outside the top ten in his career. If he’s going to get one more, it will likely be this season, if he can turn the Lakers around into a legitimate contender. He’s the only All Star on the team and a lot will remain on his shoulders, just like in Cleveland. If I’m being completely honest, I think it’s impossible to compare the two players. They played different positions in different eras of basketball, and it would be foolish to say definitively that one is better than the other. At the end of LeBron’s career, we’ll have a much better idea of how he actually compares to Jordan, and maybe then I’ll be able to choose one over the other.